The patient is a 73-year-old woman who presents to the urgent care center with palpitations she says she first noticed 12 days ago. 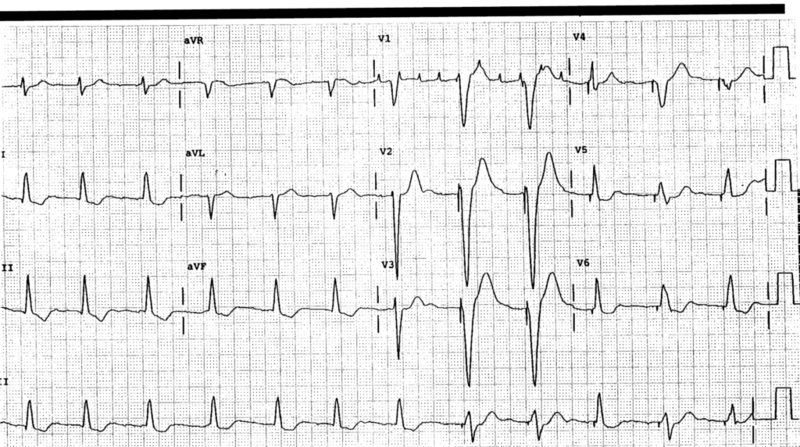 There is no associated chest pain, shortness of breath, abdominal pain, or paresthesias. 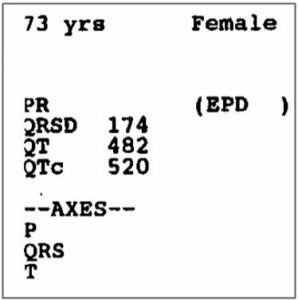 The patient states she takes warfarin, with recent INR of 2.2. Her personal medical history includes atrial fibrillation, and there is a history of heart disease within the family.